Clay, paper, paint and cloth are my vehicles for telling stories. 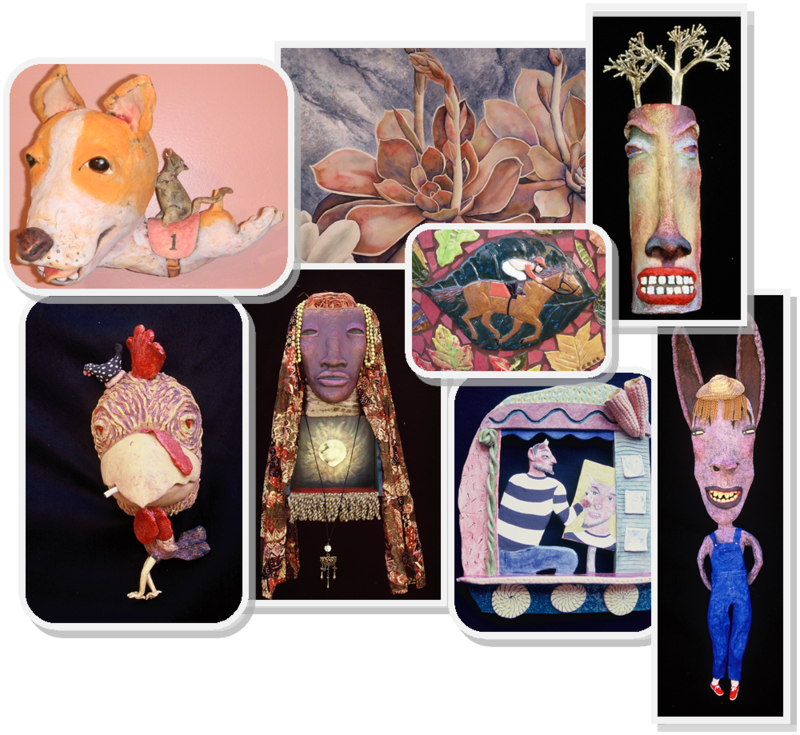 Inspired by figurative artifacts and folk art traditions, I like to mix things up by melding humans with animals or plants or inanimate objects. Makes the stories--well, interesting.